There’s gold in them thar corporate files, and Melissa Webster wants to help you dig it out. Content such as documents, images, video, email, and other formats accounts for as much as 90 percent of enterprise information, according to Webster, who serves as IDC’s program vice president for content and digital media technologies. Not having access to this content can hurt an organization, Webster warned. For example, it can affect information worker productivity through both time and cost. No worker wants to spend hours searching for that crucial piece of documentation he or she needs. In addition, she warned that it affects business process effectiveness by introducing errors and risk while, increasing turnaround time It also reduces agility, process visibility, and insight. This all leads to a less satisfactory customer experience overall. Webster cited IDC’s Unlocking the Hidden Value of Information Study from June 2014, which found that 61 percent of information workers regularly need to gain access to four or more systems to get the information they need to do their jobs. In fact, 15 percent of them need to gain access to at least 11 systems. More than a third of information workers’ time is spent looking for and consolidating information from a variety of systems. And with all that, they only find the information they need slightly more than half of the time. That can add up. For an organization that employs 1,000 people, that’s $5.7 million annually spent on unsuccessful searches, Webster reported. Wasted time. 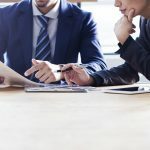 80 percent of the typical information worker’s time is spent working with documents, while one-third of the typical information worker’s time is spent on administrative tasks, according to IDC’s March 2015 study, Document Disconnect. Compliance and risk issues. More than half of respondents cited issues such as documents that were misfiled or lost, while 46 percent reported that they weren’t sure they always had copies of all signed agreements. As a result, 76 percent reported experiencing revenue recognition or auditor issues, Webster said. Losing insight into business processes. 38 percent of respondents reported that they have had difficulty relating documents or versions of documents to important context, while more than half reported having difficulty getting status or visibility into document-based business processes. In contrast, improving access to the information locked inside documents would help, businesses reported. 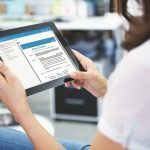 72 percent said that they believed that improving document-based business processes would increase both customer satisfaction and brand value. A whopping 82 percent believed that taking the friction out of back- and front-office business processes was essential for improving customer experience. One survey found that automating regular business processes could save managers up to 40 percent of their time. Assuming a traditional 40-hour week, that could be up to 16 hours of savings. How to solve this problem and dig out the corporate document gold? Organizations need to use enterprise content management (ECM) and business process management (BPM) software, workflow, and analytics, Webster said. Line-of-business, industry, and bespoke applications need to be integrated so users have all the information they need in one view to take action, make decisions, and ensure end-to-end process visibility, she said. There also needs to be rapid development of case-based applications that help users make decisions and that offer insights that enable continuous process improvement, she said. Melissa Webster, Program Vice President of Content and Digital Media Technologies at IDC, discusses which content management system features are most effective at solving information access challenges. Webster also pointed out that this is all happening against a rapidly developing backdrop of smart mobile “things” ranging from automobiles to wearables—what IDC calls the “third platform.” According to the Document Disconnect study, most Internet users in developed economies gain access to the Internet using a mobile device. Two-thirds of information workers use a mobile device for work today, while three out of four expect to within a year. And nearly three-quarters of workers surveyed report spending at least part of the week in a location other than an office in their organization, she said. Consequently, organizations that aren’t already doing so need to be making use of the cloud to give these workers access to corporate data wherever they happen to be, she said. It’s important, Webster concluded, to assess your organization’s ECM maturity. All of these questions need to be addressed for your organization to thrive in the next decade. What is Human Resources (HR) Automation? Migrating to a New Content Management System: What Documents Should You Keep?